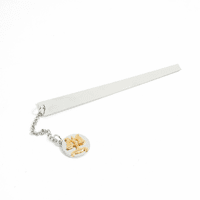 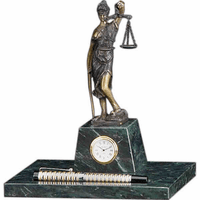 FEATURES/SPECS The Scales of Justice are tipped in your favor with this stunning letter opener. 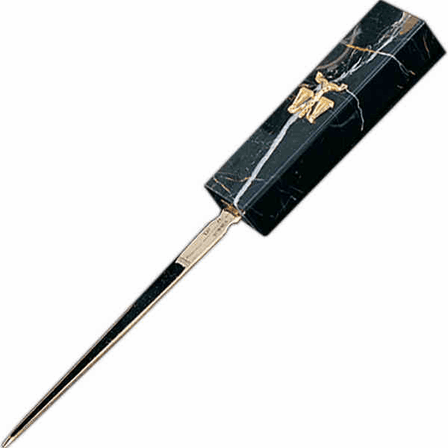 The handle is made from genuine black marble with unique white veined accents running through it. 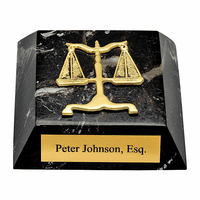 The beautiful 'scales of justice' insignia is featured front and center on the handle creating a one of a kind gift for lawyers, judges and anyone working in the legal profession. 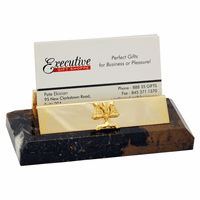 The blade is made of polished brass, perfect for opening a stack of legal letters with ease.